Ms. Lanzo is a Puerto Rican born visual artist, curator and arts administrator who came to the Bronx in 1999 and began working as a Visitor Services Manager at the Bronx Museum of the Arts where she administered the museum's admissions, bookstore, and rentals program. After six years at the Bronx Museum, she came to the Longwood Art Gallery as Program Coordinator for the gallery’s exhibitions, public programs and the Digital Matrix Commissions Program for the 2006-08 seasons. Specializing in drawing, painting and printmaking techniques, Juanita received her Bachelor in Fine Arts from the University of Puerto Rico in 1996 and her Master s in Fine Arts at CUNY’s City College in 2004. In 1996 she received the Carlos Marichal Award for Academia de Artes y Ciencias award for artistic excellence in printmaking and the Theresa McRabbe O’Connor Fellowship, in 2003 at the City College of New York. She is fluent in English and Spanish with some knowledge of Italian. Juanita has participated in several group shows in Puerto Rico, New York and Spain. Among them are Saludo a la Bienal de Grabado Latinoamericano in 1995 and 1998 at the Galeria Francisco Oller, at University of Puerto Rico. She has exhibited at Museo de Arte e Historia, and at Ateneo de Arte Puertorriqueño in San Juan, Museo Casa Roig in Humacao, Museo de Arte de Caguas, in Caguas and Galería Guatibirí, in Rio Piedras. In New York, she was part of Mujeres after Frida at the Lower East Side Centro de Trabajadores Unidos and Post Plátano, Abstraction in the Bronx at Longwood Art Gallery @ Hostos. She has co-curated Longwood Arts Project’s 25th Anniversary Digital Matrix at Haven Art Gallery in 2006 and Material Culture at Longwood Art Gallery @ Hostos which is currently on view through February 2008. 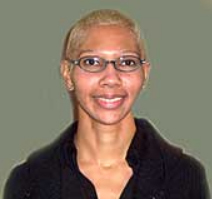 She has served as a panelist for the New York City Department of Cultural Affairs. The Longwood Art Gallery @ Hostos is the contemporary art center of the Bronx Council on the Arts, supporting artists and their work, especially emerging and under-recognized artists, through the Longwood Art Gallery @ Hostos, Digital Matrix Commissions Program, and public programs that provide platforms for free and open dialogue. The Longwood Art Gallery @ Hostos is the contemporary art center of the Bronx Council on the Arts, supporting artists and their work, especially emerging and under-recognized artists, through the Longwood Art Gallery @Hostos, Digital Matrix Commissions Program, and public programs that provide platforms for free and open dialogue. Check out our current competition.